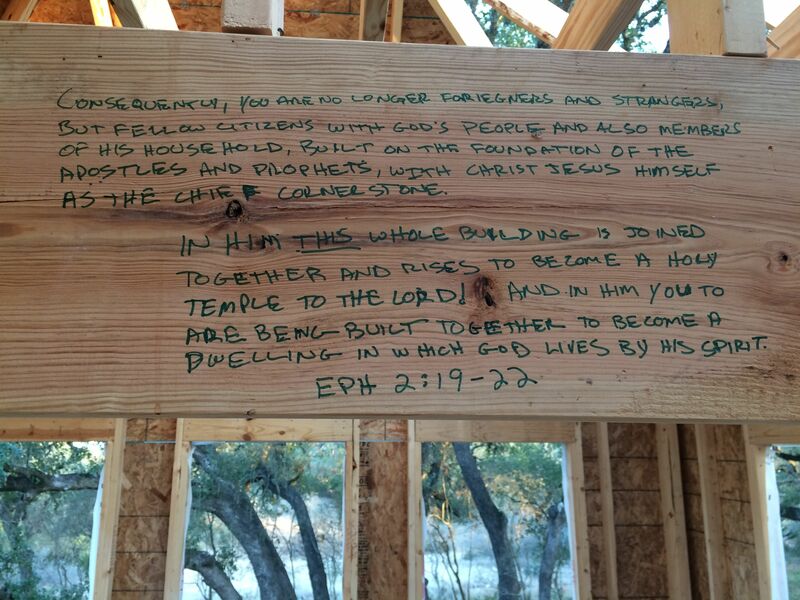 This past beautiful Sunday afternoon, our community group and Jon’s parents came over to eat pizza on the patio and to write verses on the studs of our house. We had a fabulous time but I missed the opportunity to get a group photo. Then the week turned into a whirlwind. Which is good, because it means progress. On Monday we picked up a stump grinder from Sunbelt Rentals and ground down a couple dozen stumps in the yard, specifically a couple that were where our garden shed would be built. We took a quick break in the afternoon to meet with Juan and receive our new task list. The the shed guy showed up Tuesday morning and started the floor and framing and Jon and I met with Jeremy from Click Integrations to discuss low voltage wiring (for televisions, speakers, etc). Right after Jeremy left, Craig from 84 Lumber showed up and we walked the house, verifying the dimensions of the doors. Jon decided to have the frames for the pocket doors installed along with the exterior doors. We’ll install the interior doors ourselves, once we paint/stain them. I’m still trying to decide between interior pine or solid core Masonite doors. I picked up our tub and shower fixtures on Wednesday and arranged for the guest tub to be delivered next week. Jon and Juan met again to check all of the house studs for bowing and identify any other issues that needed to be addressed. 84 Lumber also delivered our windows and the roofers from Fry Roofing showed up. By the end of the day Chavez’s crew had the windows in place and sealed in, the roof was dried in, and the shed was finished. 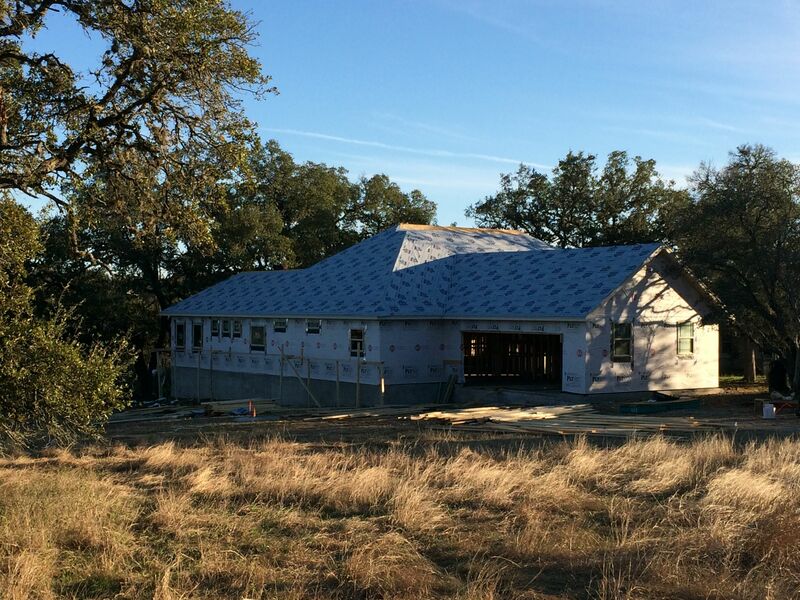 Now it’s time to schedule the next round of activity and select our roof and stucco colors. This entry was posted in Hill Country Living and tagged 84 Lumber, Chavez Construction, click integrations, Country Living, River Chase, Texas Hilll Country, UBuild It. Bookmark the permalink.